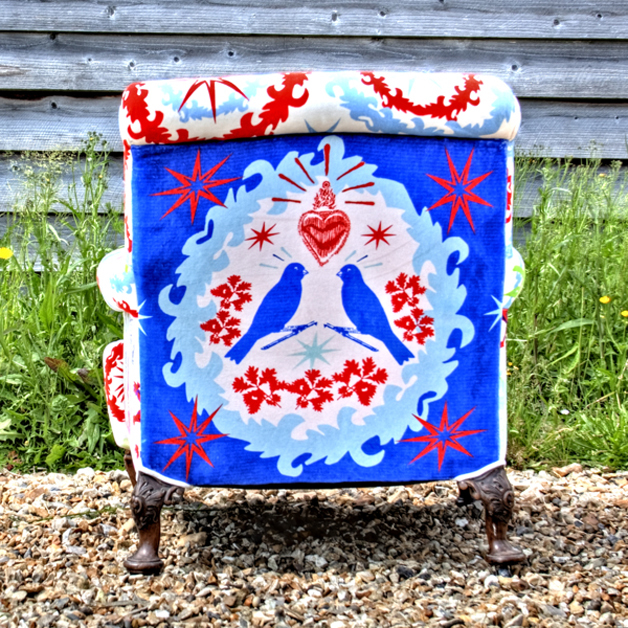 The Hoop and Bird chair is an old family heirloom. 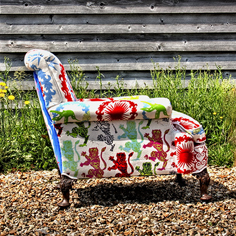 It was one of the very first pieces of furniture that we upholstered and was the inspiration for our company. 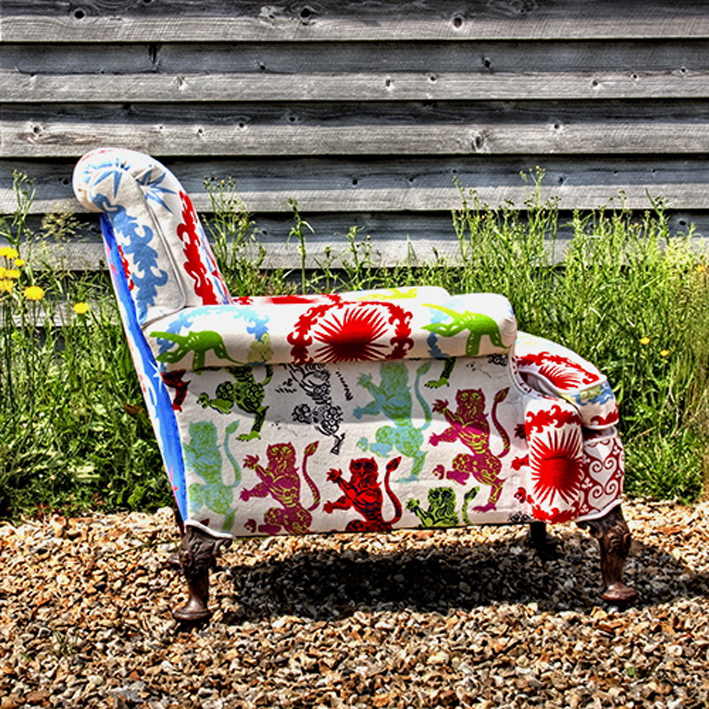 Each fabric section was designed and printed specifically for this piece, including the bespoke back fabric panel. giving new life to the classical. We have now replicated the original chair. It is hand made and upholstered around a solid beech frame, with hand tied springs, jute webbing, horse hair, wadding, feathers and down. 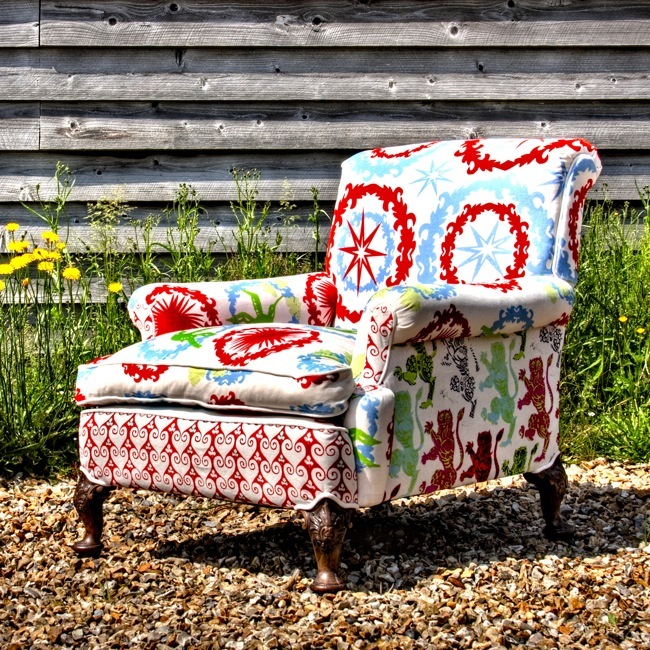 Entirely made by local skilled craftsmen here in Dorset, England. The frame is also available in all Corita Rose stock fabrics.